Leader's Kit Order one per classroom. Children's Take-Home Cards Order one set per child. Sing With Me Preschool Songs Order extras if needed. Leader's Guides Order one per leader at each grade level.. Also in downloadable (PDF) format. Purchase one per leader at each grade level. Does not include permission to photocopy. Bring It Homes / Children's Resources Order one per leader and one per child. DwellSongs Order one per leader. God's Big Story Cards Order one per family. Leader's Guides Order one per leader at each grade level. Also in downloadable (PDF) format. Purchase one per leader at each grade level. Does not include permission to photocopy. Magazines Order one per leader and one per young teen. Dive Devotions Order one per young teen. Q&A: A Summary of Biblical Teachings Order one per leader. 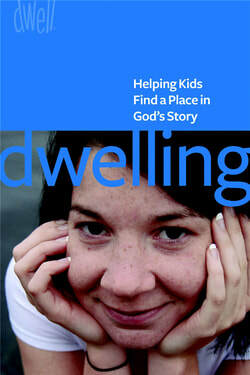 Dwelling: Helping Kids Find a Place in God's Story offers practical ideas, tips, and encouragement for all children's ministry and Sunday school leaders. Learn more under Support & Downloads. Special summer units, originally developed for Walk With Me, are ideal for use with DWELL too! Each book contains everything you need—song lyrics and music, reproducible pages, complete session plans, and more.